Peter “ppd” Dager, former CEO of Evil Geniuses and current player for OpTic Gaming, has announced a new semi-professional Dota 2 league: the North America Dota Challengers League (NADCL). The first season of the league will be launched in October following the first Valve Minor qualifier, and will run throughout the year while carefully dodging any conflicting dates with DPC qualifier events. The league’s objective is to launch a platform for semi-professional players in North America, providing teams with a chance to earn income for practicing and competing at a level that’s lower than the professional level. Any team that isn’t sponsored or being paid to play Dota 2 will be eligible to attempt to qualify. Eight teams will be identified through an initial qualifying tournament. From there, these teams will take part in a group stage which will lead into a best-of-three single elimination tournament with the four best teams. The action will be broadcast live on Twitch. The prize pool for the league – which will firstly be established and then supplemented by donations throughout the league’s duration – will be distributed in a “relatively flat structure” across all teams, regardless of placements. 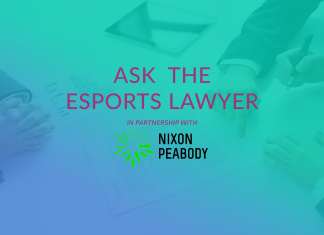 Esports Insider says: We’re always big fans of supporting grassroots, amateur, and semi-professional competitors – they’re important to having and developing a healthy competitive scene. Hats off to ppd and co. for aiming to help out aspiring pros with earning an income!